The company has finally broken through with ABC, CBS, NBC, and Fox, sources told the New York Post. The major obstacle in negotiations was allegedly Apple's interest in live feeds of local channels, but since networks don't directly control affiliate feeds, Apple's team asked the networks to secure affiliate rights rather than spend time pursuing each one itself. The networks are close to being able to negotiate with Apple on behalf of affiliates, the sources said. In compensation, the affiliates are being promised a share of the extra revenue Apple's service will generate. CBS or Disney (which owns ABC) will likely be the first to sign a deal with Apple, the sources speculated, also backing the idea that Apple plans to sell customers a "skinny" channel bundle. There are still said to be obstacles however, such as whether TV partners will have to sacrifice 30 percent of subscription fees if they're paid via the App Store. Apple normally claims 30 percent of all App Store purchase revenue, even if a person is paying for a third-party service simply delivered through an iOS app. Maintaining that split could take a deep bite out of network revenues. Another problem is that networks have signed "most favored nation" clauses with other parties, meaning they can't charge Apple less than others. Apple is also reportedly undecided on how much it plans to charge, although estimates range from $10 to $40 a month. 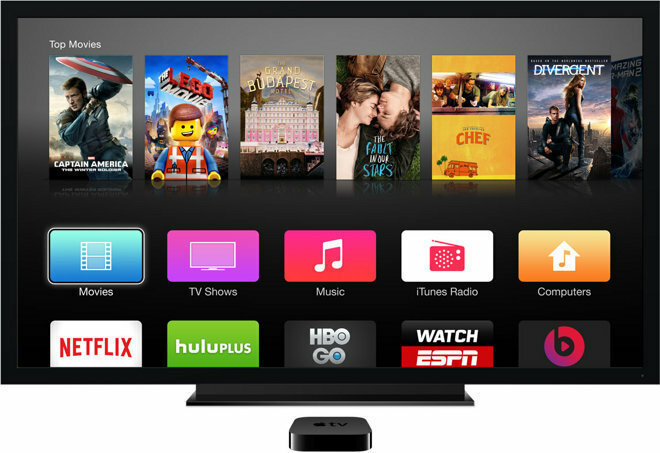 The sources lastly noted that Apple is hoping to launch the service as soon as late fall, and may incorporate some typically cable-only channels, like Discovery and ESPN. One person commented that the platform itself is "ready and it rocks."